Christopher Tomlinson was just 10 years old when he was sentenced to seven years transportation for stealing a pair of shoes. In 1831 he was transported from London to New South Wales on the convict ship Camden. There were 198 male convicts on board and the voyage took 119 days. After spending a few months at Hyde Park Barracks in Sydney, Christopher was transferred to Carter’s Barracks (which once stood where Sydney’s Central railway station is today). The administrators at the Barracks tried to reform young convicts by giving them a basic education and teaching them a trade, such as blacksmithing or carpentry. Christopher made two attempts to escape the strict religious environment but was recaptured both times. He was punished by multiple lashings with the cat o’ nine tails. Christopher was again arrested for theft in 1833. While nothing is known of him after this date, it is likely that he was assigned to a farm and served out the rest of his sentence in Australia. Taam Sze Pui was born into a very poor family in China. Hearing that gold had been discovered in Cooktown, Queensland, his father decided that he would go with Taam Sze Pui and his younger brother to try their luck on the goldfields. It was 1877 when they left China; Taam Sze Pui was nineteen. They were just three of more than 40,000 Chinese who arrived in Australia during the gold rush. But when they reached Cooktown they found that the rumours of gold in the area had been untrue! Not wanting to waste his journey, Taam Sze Pui, along with his father and brother, bought shovels and hoes and set out in the direction of the mountains – just in case there was gold to be found there anyway. There wasn’t… Taam Sze Pui then took a job at a restaurant, earning just £2 per month (about $300 today), and saved enough to purchase a general store in Innisfail, Queensland, in 1882. That building was one of the most well-known and loved in northern Queensland for almost 100 years, until it was demolished to make way for a new supermarket in 1981. The Lederers were a Jewish family who fled their home in Nazi-controlled Austria before the start of World War II. They managed to escape the day before Kristallnacht (The Night of Broken Glass) – when the Nazis targeted Jews across Germany and parts of Austria and Czechoslovakia, destroying Jewish-owned shops, buildings and synagogues. Arthur Lederer was a talented tailor who made uniforms for European royalty and high society. In 1938 Arthur, his wife Valerie and their 16-year-old son Walter travelled by plane to Prague, Czechoslovakia. Here the League of Nations issued them with Nansen passports (identity cards that were given to refugees). Arthur then started writing letters to all of his important clients seeking their help to leave Europe. Most of them did not reply in case they were punished by the Nazis for assisting Jews. Finally the wife of the British Ambassador to Spain provided them with tickets to Australia on the ship SS Orama. The Lederer family arrived in Sydney in 1939 and for young Walter the ship journey remained a highlight of his life. The Mihkelson family from Estonia were part of the large wave of migrants seeking safety and opportunity away from war-torn Europe. Oskar Mihkelson and his wife Magda had fled to Sweden after Soviet Russia invaded Estonia in 1944. Their only daughter Anu was born in Sweden in 1945. In 1948 Oskar, Magda and three-year-old Anu were sponsored to migrate to Australia by an Estonian family already living in Sydney. They packed their precious belongings into a wooden trunk and travelled by train from Sweden to Italy to board the migrant ship SS Toscana. In Australia the Mihkelson family headed to Tully, Queensland, where Oskar worked in a sugar cane mill. Later on he went to work as a carpenter at the Mount Isa mines. The Mihkelsons built a new home in Mount Isa, having travelled halfway across the world from chilly northern Europe to tropical north Queensland, and they remained there for the rest of their lives living in peace. VAUGHAN EVANS Vaughan Evans was born in England in 1924 and served in the Royal Navy during World War II. Vaughan had always wanted to travel to Australia or New Zealand so in 1955 he decided to take a job at a marine insurance company in Sydney. Vaughan travelled to Australia as a ‘Ten Pound Pom’. This nickname was given to British migrants who only had to pay £10 ($325 in today’s money) for their ticket instead of the usual fare of about £120 (or almost $4,000 today!) The Australian and British governments helped to cover the cost because they wanted to attract migrants to build Australia’s population and workforce after the war. Vaughan sailed from Southampton to Sydney on SS New Australia, which passed through exotic locations such as Port Said, the Suez Canal, Aden and Colombo. Vaughan took plenty of photographs to record the four-week sea voyage. He had a passion for maritime history and played a key part in establishing the Australian National Maritime Museum in Sydney. It now stands near the wharves where he first set foot in Australia in 1955. ​Vaughan Evans was born in England in 1924 and served in the Royal Navy during World War II. Vaughan had always wanted to travel to Australia or New Zealand so in 1955 he decided to take a job at a marine insurance company in Sydney. Vaughan travelled to Australia as a ‘Ten Pound Pom’. This nickname was given to British migrants who only had to pay £10 ($325 in today’s money) for their ticket instead of the usual fare of about £120 (or almost $4,000 today!) 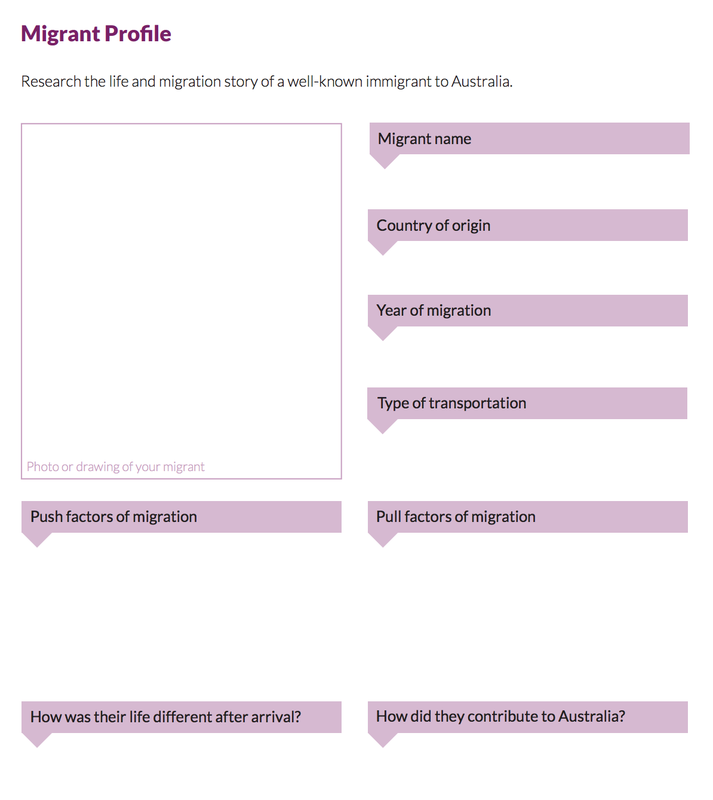 The Australian and British governments helped to cover the cost because they wanted to attract migrants to build Australia’s population and workforce after the war. Vaughan sailed from Southampton to Sydney on SS New Australia, which passed through exotic locations such as Port Said, the Suez Canal, Aden and Colombo. Vaughan took plenty of photographs to record the four-week sea voyage. He had a passion for maritime history and played a key part in establishing the Australian National Maritime Museum in Sydney. It now stands near the wharves where he first set foot in Australia in 1955.